Having this restaurant next door from where you are staying is a highlight for sure. Offering the feeling of a yacht club without the pretense, our York Harbor restaurant features a diverse menu rich in regional New England seafood specialties and local, organic fare. 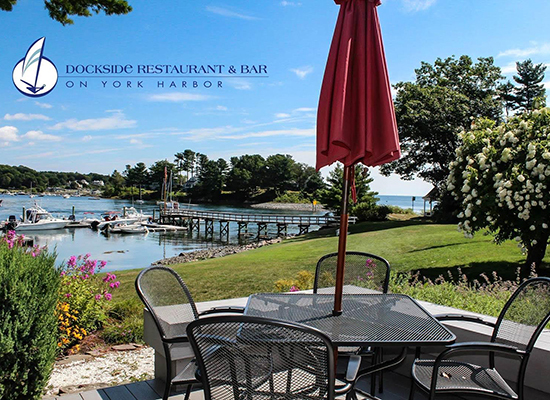 From gourmet salads and sandwiches at lunchtime to drinks and hors-d’oeuvres in the lounge and memorable dinners in the dining room, Dockside is known for offering exceptional food and the best views of the prettiest little harbor in Maine. Also located on Harris Island, steps to the main house of Guest Quarters is The Deck at Dockside. 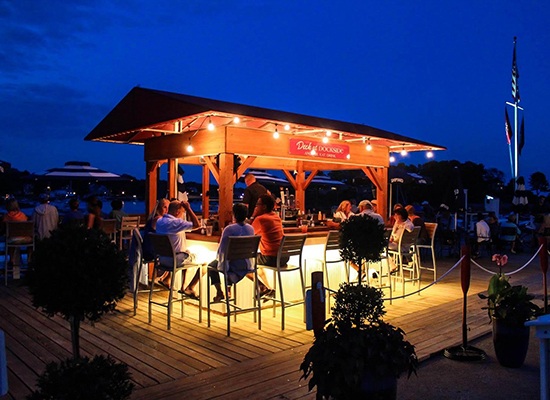 Experience panoramic views of York Harbor, while dining at our Tiki Bar style Deck. Enjoy great spirits and great food in a fun and friendly atmosphere. Wharf dining features salads & proteins, fried & steamed clams, burgers, lobster rolls and more! This restaurant is weather depending. But should you want to venture out and explore York, Maine there are several restaurants to meet any mood you are in! Don’t be fooled about this place it isn’t all about the view and cool casual setting. It has a BIG drink menu and scrumptious food. Much of the food is locally sourced from farms and vendors and has a variety of vegetarian offerings. I could stay in their starter menu all night! (offering breakfast, lunch, and dinner seven days a week in season. But as always double check as hours are subject to change). Parking may be difficult since this restaurant is located right on long sands beach so do allow extra time (and change for the meters). 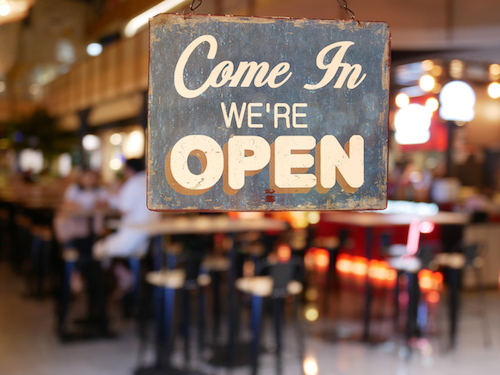 You are not going for the view, and you might scratch your head when you pull into the strip mall, but we promise you a great meal and dining experience. Be prepared for a wait and the bar will fill up fast but the fine people of The Central have thought of it all! With beeper in hand, you can head right next door to The Central Bean & Bakery to grab a glass of wine while you wait. Highlights at dinner are the foods prepared over the live hardwood fire served with creative sides and accompaniments. Signature entrées from their sauté station also surely, please. Don’t miss their small plates menu too that can be enjoyed as a complete meal or simply shared. Another culinary inspiration that sets The Central apart is the presence of a Cookshack Smoker in the back kitchen turning out mouthwatering pit-smoked meats, poultry, and seafood.” Desserts are always delicious, but the warm chocolate chip cookies are not to be missed! Celebrating their 25th Season Owner and Chef John Shaw with his wife, Thea, are devoted to creating healthy foods for the gourmet enthusiast and know no limits! The homemade loaves of bread, pasta, decadent desserts and a world-recognized salad keep customers coming back year after year. But do know this is a BYOB establishment so stop by The Clown and have them pick out the perfect bottle or two of wine. Great options for the GF, Vegetarian options. Reservations highly recommended. The York River Landing overlooking the historic banks of the York River on route one, York, Maine, offers a picturesque dining retreat for locals and travelers abroad. 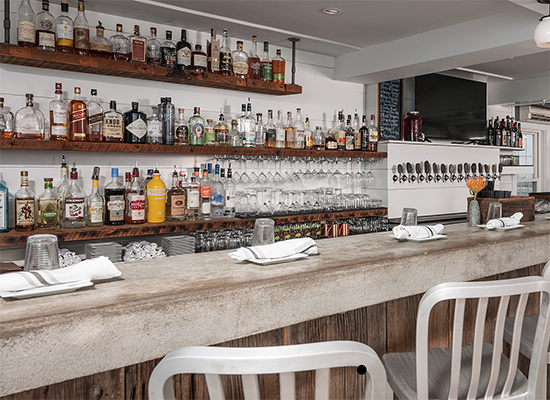 From fresh seafood to all-natural beef this restaurant will please everyone. It’s extensive list of 36 local craft beers (ON TAP), great wine & drink menu will invite you to stay awhile and enjoy the view. With a continually changing special menu’s you can have something different every time you go and not be disappointed. Don’t forget to stop by the cute little shack in the parking lot for the largest ice cream cone in all the land! Their LONG list of Handcrafted Pizza might take you all day to decide but don’t overlook their salads & starters that are drool-worthy in their own right. 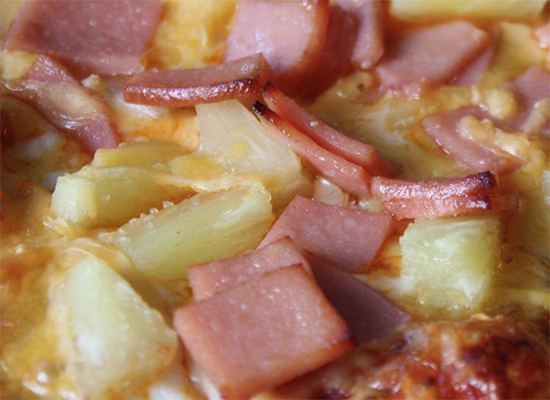 Pizza not your thing? No worries their extensive menu of crafted sandwiches will leave you with plenty of options. Do note the dining area is small but worth the wait. Or get takeout and bring it to the beach to eat while watching the sunset! Sounds like a perfect night on vacation in York Maine!